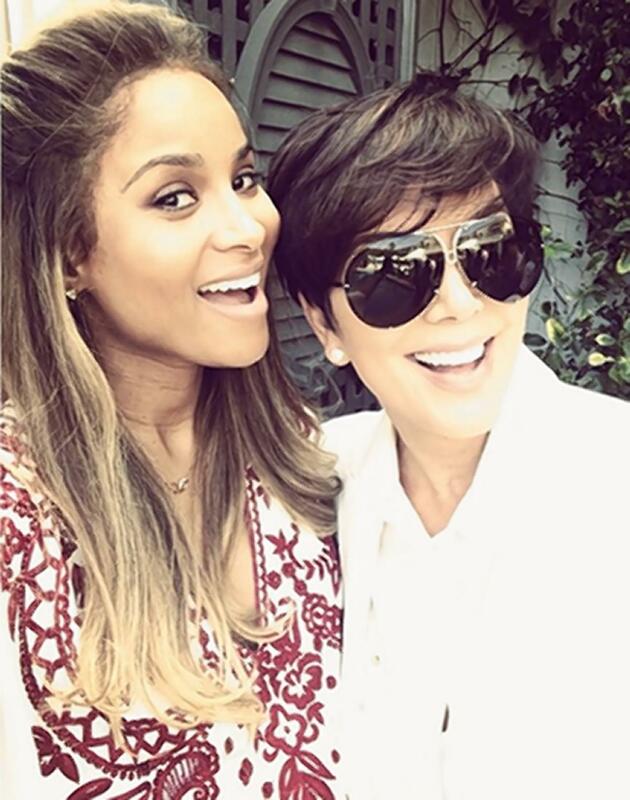 On Saturday, Ciara celebrated the upcoming arrival of her bundle of joy during an baby shower with family and fellow mothers LaLa Anthony and Kim Kardashian over the weekend at a private home in Los Angeles. 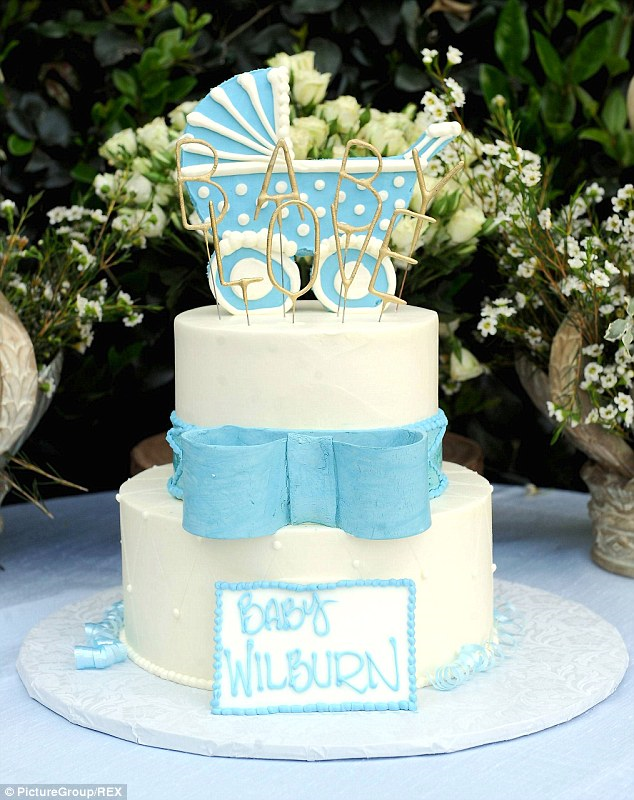 The mom-to-be shared photos from her baby shower on Saturday – featuring plenty of blue decorations and a gorgeous two-tiered cake with blue icing and a matching blue pram, the words ‘baby love’ spelled out in sparklers above a ‘Baby Wilburn’ nameplate. I think it is safe to say Ciara and Future are expecting a boy. Ciara, 28, is expecting her first child with her rapper fiancé Future. 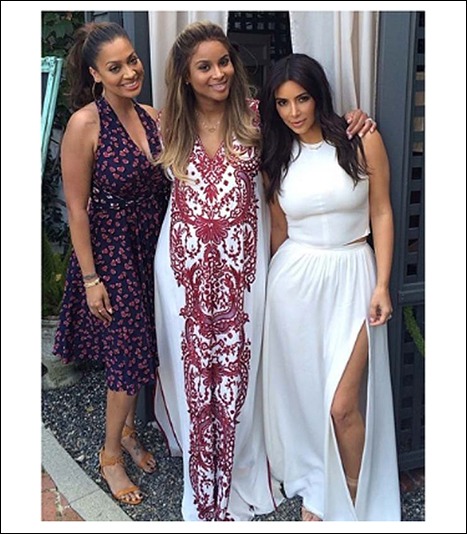 The mom-to-be stunned in a white and burgundy Naeem Khan caftan for the outdoor fete. Kanye West’s fiancée donned an all-white maxi skirt and crop top combination for the event, while LaLa opted for a floral knee-length dress. Kardashian’s momager Kris Jenner was also in attendance. She brought the expecting couple a huge gift basket, filled with all things little boys would love including a blue toy car and a black pirates hat. 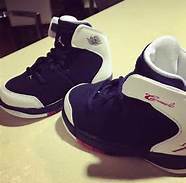 While we’re sure Ciara was showered with gifts for her bundle of joy, she was extremely thrilled with the gift from Anthony’s husband, New York Knicks play Carmelo Anthony– A pair out Carmelo signed baby sneakers! “Thanks Uncle Mel @CarmeloAnthony #Family,” Ciara captioned a cute photo of the shoes for her son. We think Future was excited about the sneakers too! Looks like everyone was having a great time! 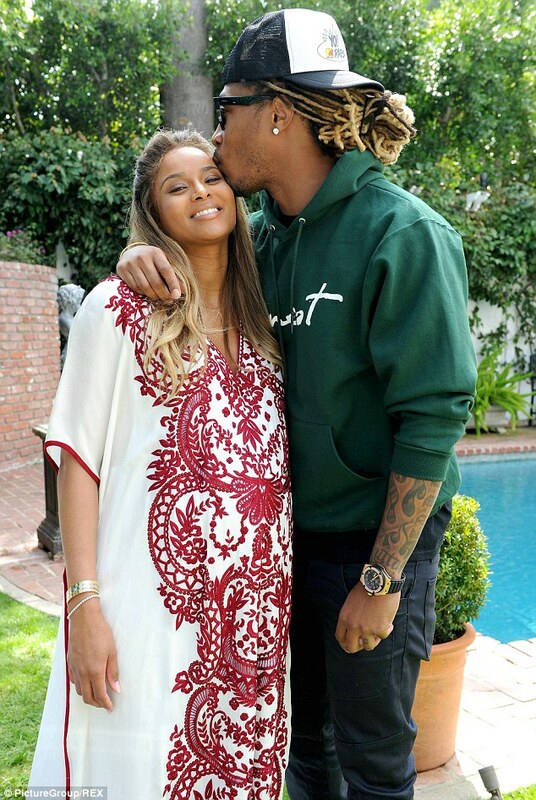 We can’t wait for Ciara and her fiance Future to begin this new chapter in their lives. Congrats, Ciara!